What’s the Project? 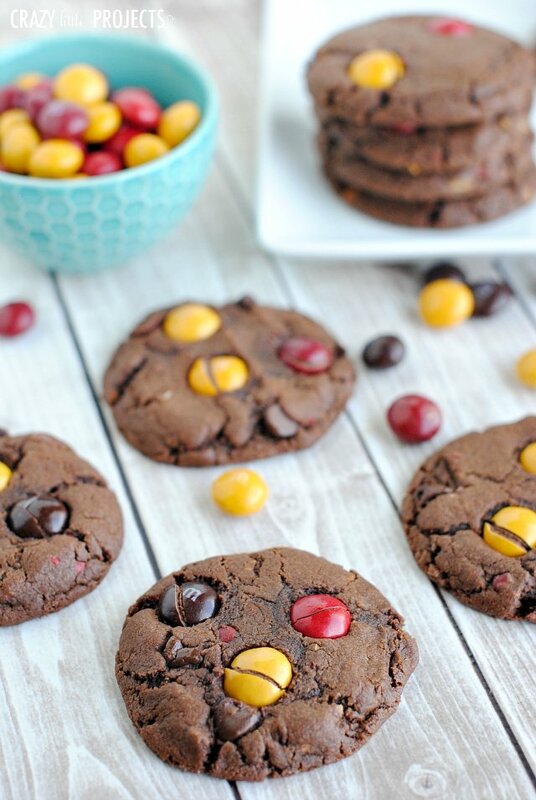 These chocolate peanut butter M&M cookies are a perfect combination of chocolate and peanut butter with candy pieces. They are soft and chewy and you will want to eat them all when you bake them. 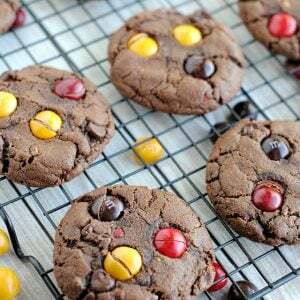 I have been trying to think of a fun cookie I could make for Fall and when I walked past the Peanut Butter M&Ms the other day at the store, they jumped off the shelf and told me to bake them into a chocolate peanut butter cookie. So I tried it and guess what? It turned out great! 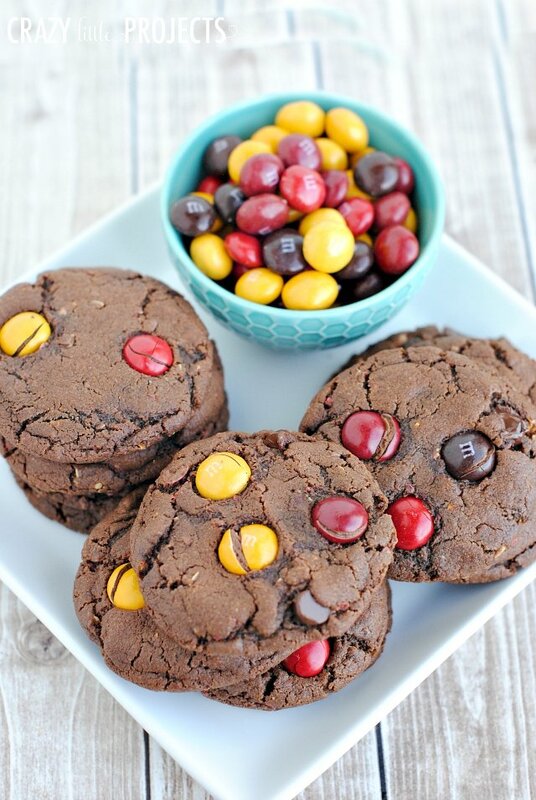 Here’s the final product-Chocolate Peanut Butter M&M Cookies and they taste so so good! 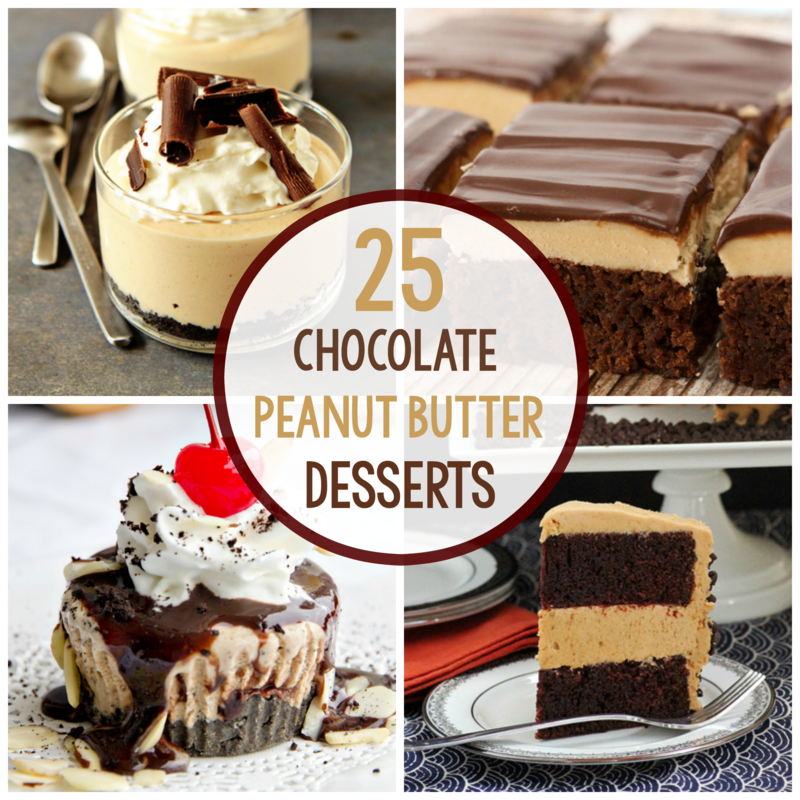 It’s a chocolate cookie base, but don’t be deceived-there’s peanut butter baked in there too! 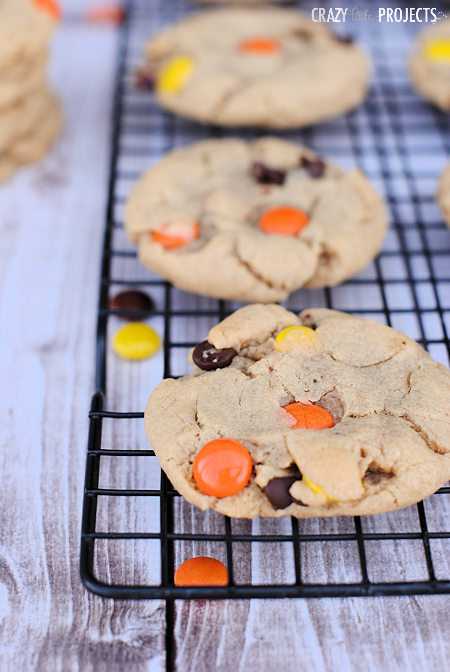 And then throw in some of Peanut Butter M&Ms and chocolate chips and you have a perfect cookie! 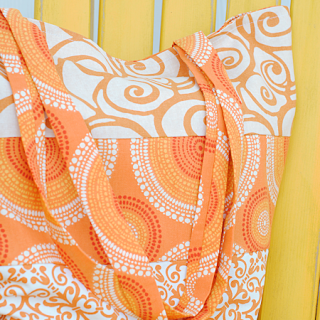 You’re definitely going to want to make these right away! 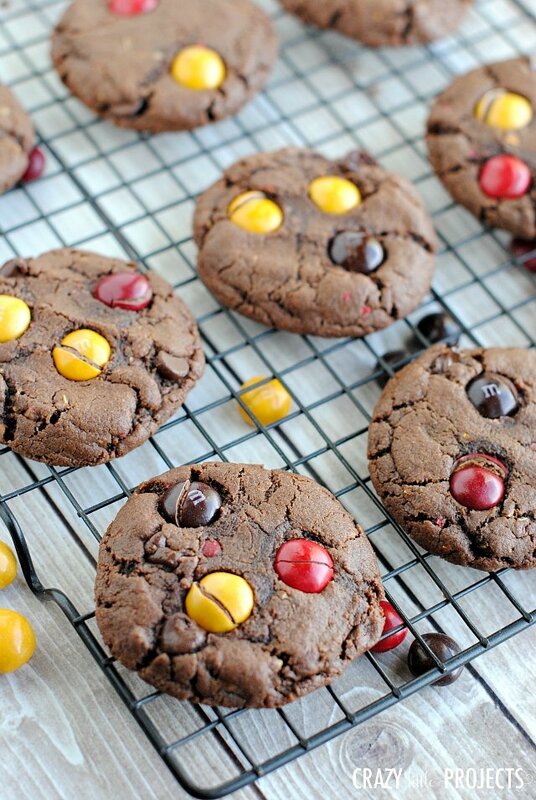 These chocolate peanut butter M&M cookies are a perfect combination of chocolate and peanut butter with candy pieces. They are soft and chewy and you will want to eat them all when you bake them. Combine butter and sugars and mix. Add in eggs, cocoa and peanut butter and mix till smooth. Add baking soda, salt and vanilla along with flour. Then mix in chocolate chips and about 2/3 bag of M&Ms. When you take the cookies out of the oven, if they need to be flattened a little, gently press them down with your hand or a hot pad. And then eat them up! 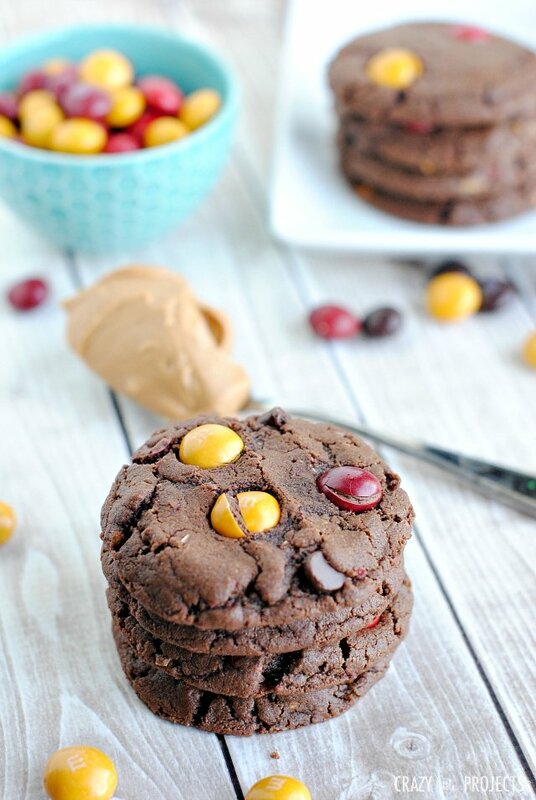 I hope you love these chocolate peanut butter M&M cookies as much as I do! can you tell me if the flour is supposed to read 2 1/2 cups? Ha ha! Yes, sorry! I got that fixed. Thanks for the heads up. They look incredible! Thanks Amber! 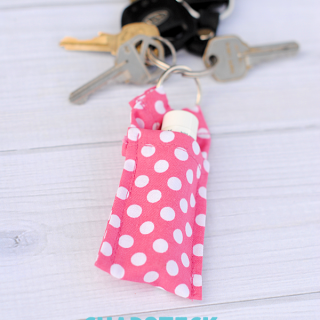 I already wrote down the recipe and it will be next one I try out with my boys! How many cookies does one batch make? I want to make them for a cookie exchange. What size bag of peanut butter M&Ms? I have a huge “party size” on hand at home anc am guessing it is way too big…. how many ounces would you say you used?